Hi readers! Today is what I'm calling DOUBLE WINGDUST WEDNESDAY. 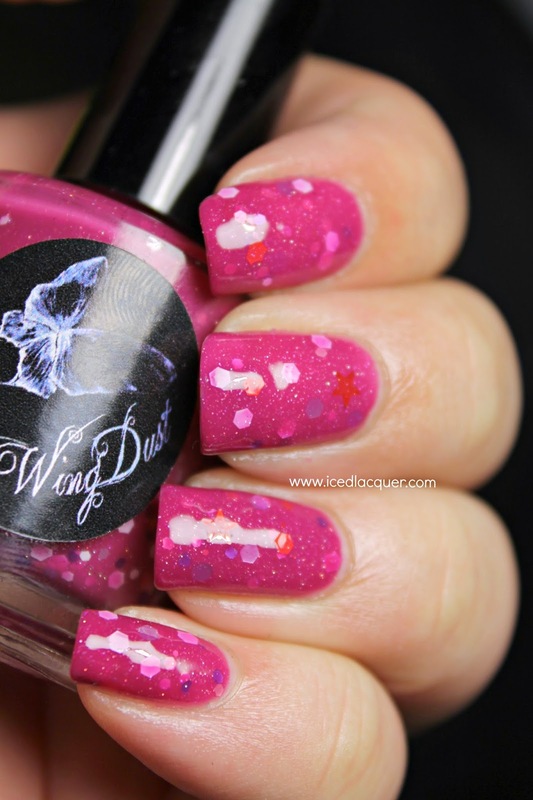 No, I don't have I have two WingDust polishes to show you this week, but because Courtney and I had the wonderful opportunity to interview WingDust queen/creator herself Stephanie on this week's episode of Nail Newscast! We had so much fun chatting with her! "Seashell Bra" - This bright magenta jelly base is filled with white, lavender, and red hexes, red stars, fine silver glitter, and some holographic shimmer. It's not quite as glitter filled as most other WingDust polishes, but the coverage was still great. These photos show three coats plus top coat. My thoughts? 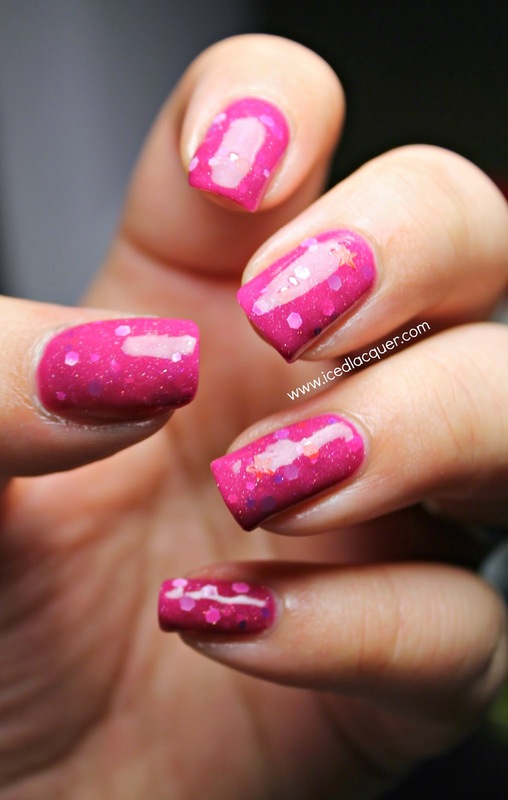 This shade is super bright and playful! I figured I would wear it because the sun has completely gone away and I needed a pop of something colorful this week. There aren't very many pink WingDust polishes, so I'm glad to have this one in my stash. I believe this shade was originally made for XOXO Alexis Leigh's 200 follower giveaway, but can still be found floating around. I think I got mine from Llarowe. Normally you can purchase other WingDust polish shades on Etsy, Llarowe, Beauty So Fly, and a couple other international stockists. Make sure to follow her on Facebook and Instagram to see sneak peeks of new polishes and restock notices! I need this one, too! Hahaha but you know I'm the WingDust enabler!